Devin M. Tarwater is an associate attorney in the Arizona office of Smith LC. His practice is focused on business, personal injury, and transactional matters. Mr. Tarwater tailors his legal and business skillset to meet the individual needs of his clients. Mr. Tarwater has prosecuted several criminal cases to verdict, advised Arizona governmental organizations, and assisted a major sports franchise on transactional matters. He graduated with a Juris Doctor from the Sandra Day O’Connor College of Law at Arizona State University where he was a Pedrick Scholar. At ASU, Mr. Tarwater participated in national negotiation competitions, placed as a finalist in the law school’s internal Jenckes Closing Argument Competition, and served as president of the law school’s sports law student organization. Prior to his legal career, Mr. Tarwater worked for one of the five largest brokerage firms in the country as a registered broker. He holds a Bachelor of Arts with majors in Economics and Italian from Brigham Young University. 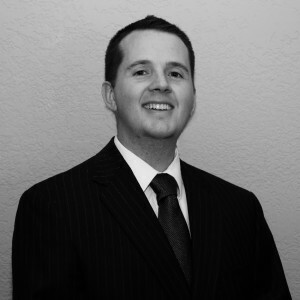 He is licensed to practice in Arizona’s state and federal courts. Devoted advocacy for each of his clients is his top priority.